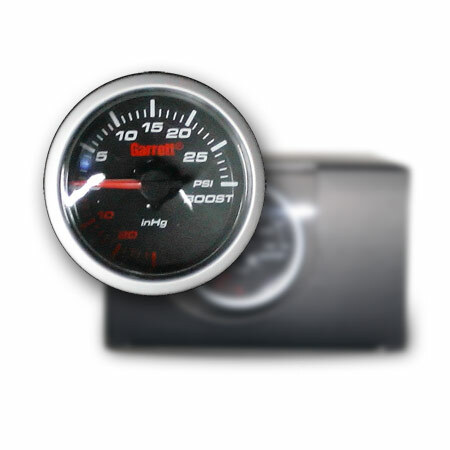 Mechanical boost gauge. Reads vacuum and pressure measured in PSI (30 Max). Garrett reliability!